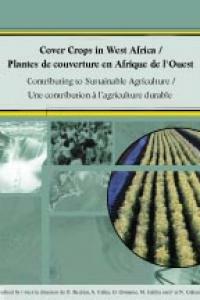 This book examines the potential for using cover crops to maintain and improve soil fertility in West Africa. It documents past experiences withcover cropping in Africa and will hopefully stimulate future research on priority socioeconomic and biophysical aspects of this important topic. Daniel Buckles is Senior Program Officer at the International Development Research Centre in Ottawa, Canada. Albert C. Etèka is an agricultural expert based in Cotonou, Benin. Olu Osiname works for the Alley Farming Network for Tropical Africa of the International Institute of Tropical Agriculture in Ibadan, Nigeria. Marcel Galiba is Director of Sasakawa Global 2000 – Benin, based in Cotonou, Benin. Norma G. Galiano received her master's degree in natural resource sciences from McGill University, Canada.